Tranquil garden surroundings, sweeping Okanagan Lake views and warm, contemporary luxury come together to create the most unique and inviting accommodations in the Kelowna area. The 100 one-, two- and three-bedroom condo-style suites at The Cove Lakeside Resort are not your typical hotel accommodations. 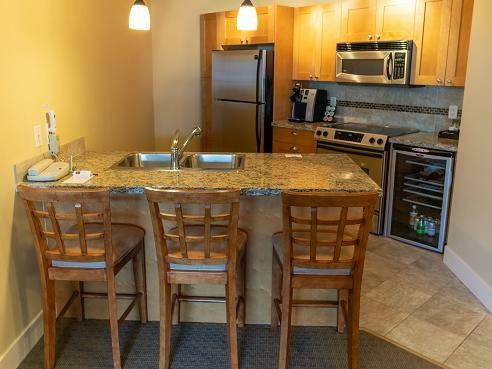 With spacious floor plans that range from 700 square feet to 2,400 square feet, encompassing fully equipped five-piece gourmet kitchens with wine fridges, upscale furnishings, living and dining areas and expansive balconies or terraces, they feel more like your own luxury vacation home. 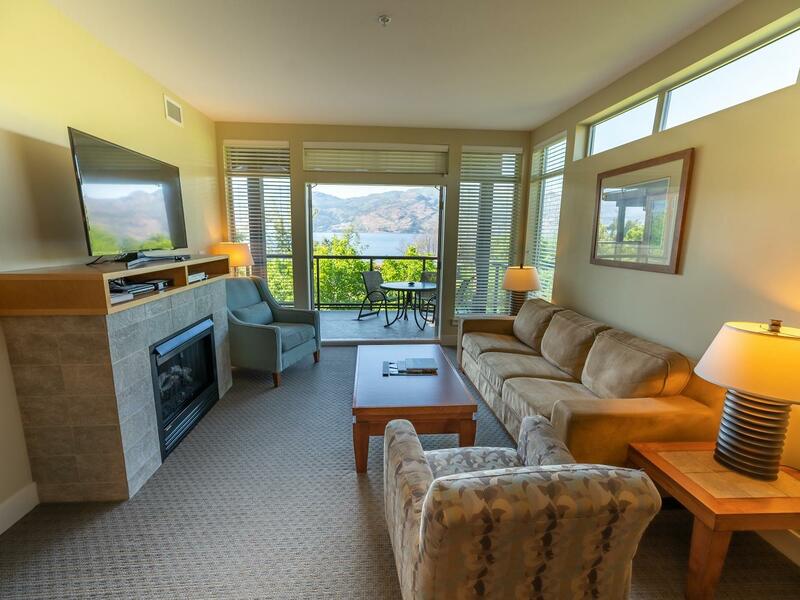 The ambiance is warm, inviting and home -inspired, perfect for relaxing after a day of adventure in the Okanagan. 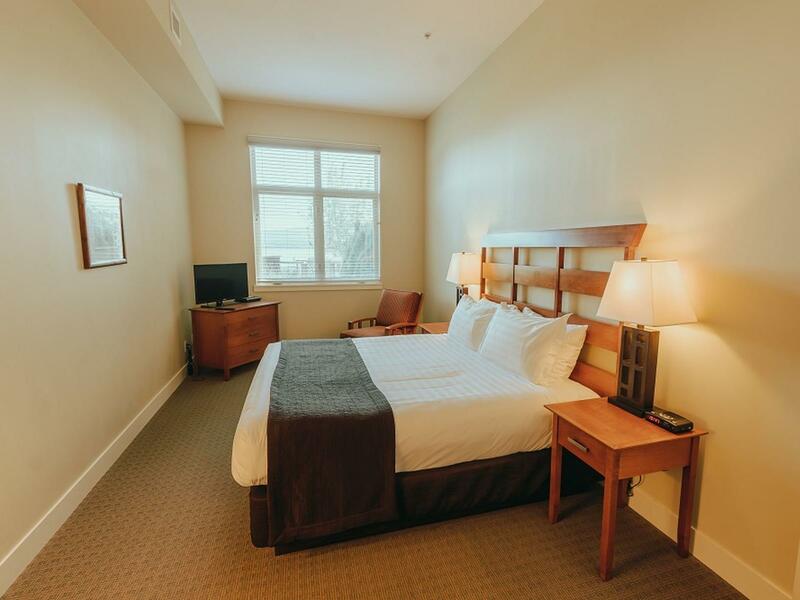 In addition to views of the beautiful Gellatly Gardens, Okanagan mountains or Okanagan Lake, all suite accommodations feature plush bedding, queen-size sleeper sofas and flat-screen televisions with Telus Optik TV. 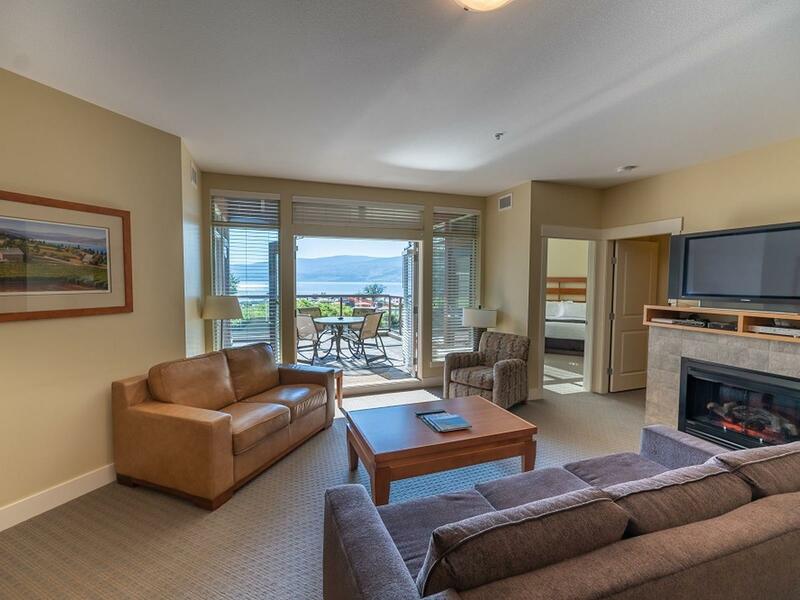 Find your home away from home in Kelowna within the spacious, beautifully appointed accommodations at The Cove Lakeside Resort. 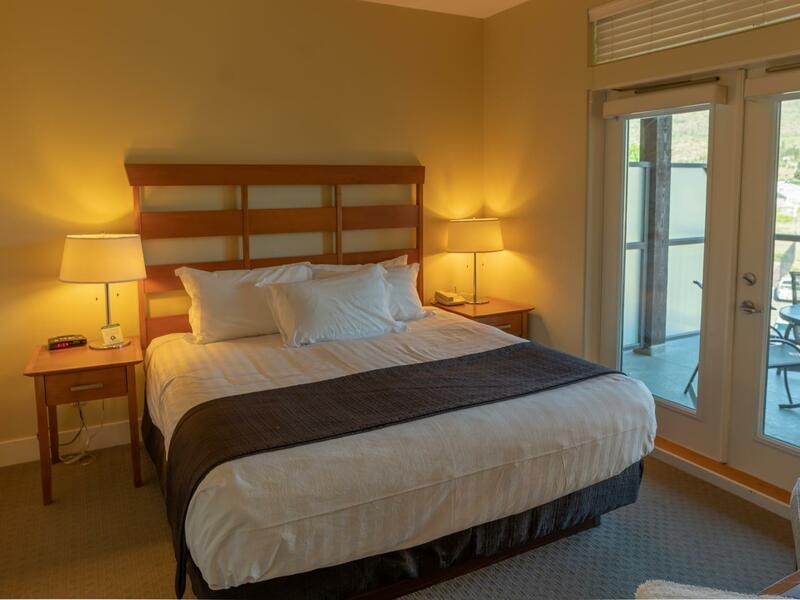 Spacious interiors and elevated comfort define our mountain view one bedroom suite. Spacious interiors and elevated comfort define our garden view one bedroom suite. 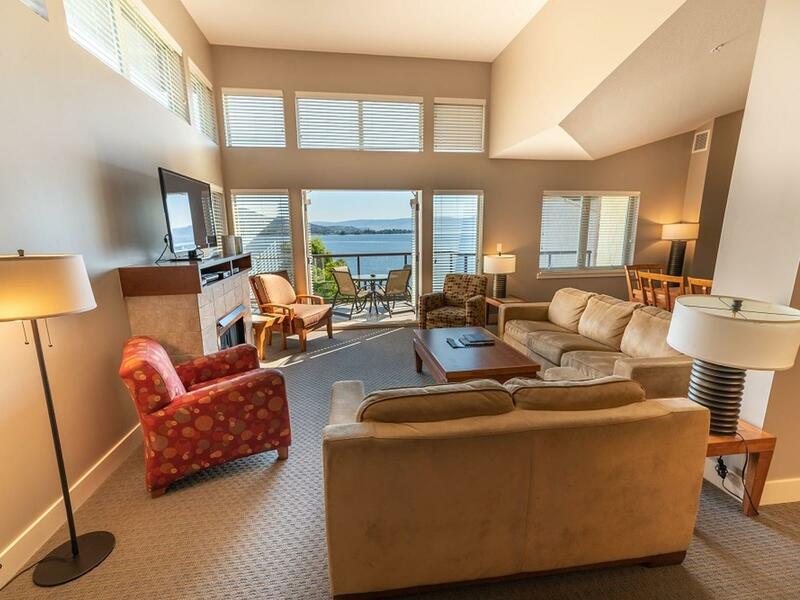 Spacious interiors and elevated comfort define our premium lake view one bedroom suite. 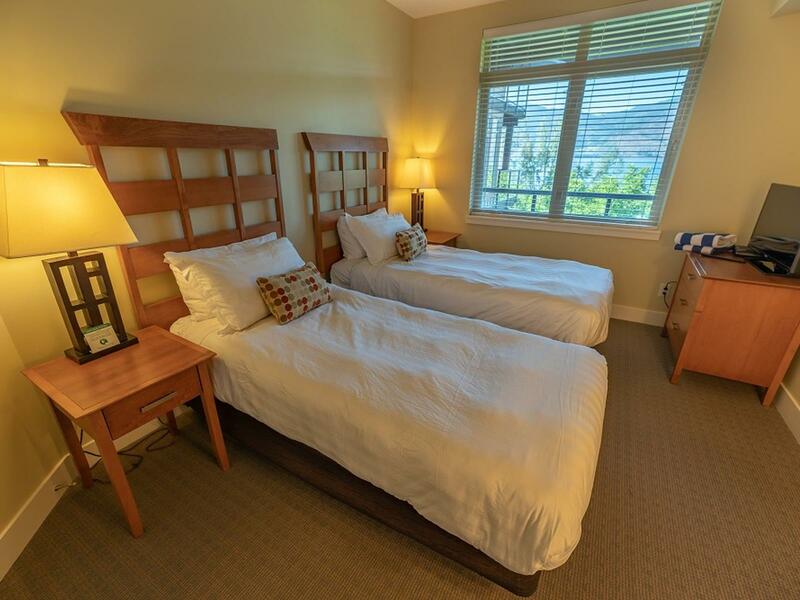 Spacious interiors and elevated comfort define our mountain view two bedroom suite. Spacious interiors and elevated comfort define our garden view two bedroom suite. 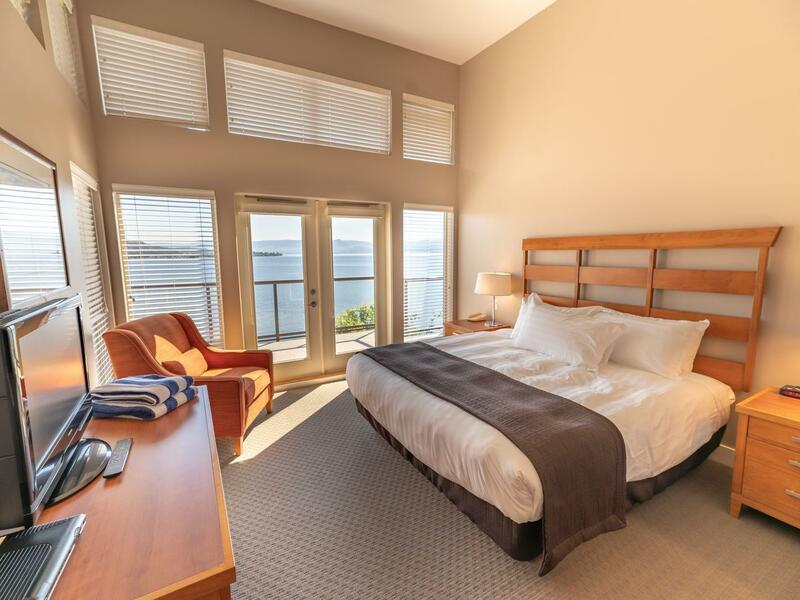 Spacious interiors and elevated comfort define our premium lake view two bedroom suite. 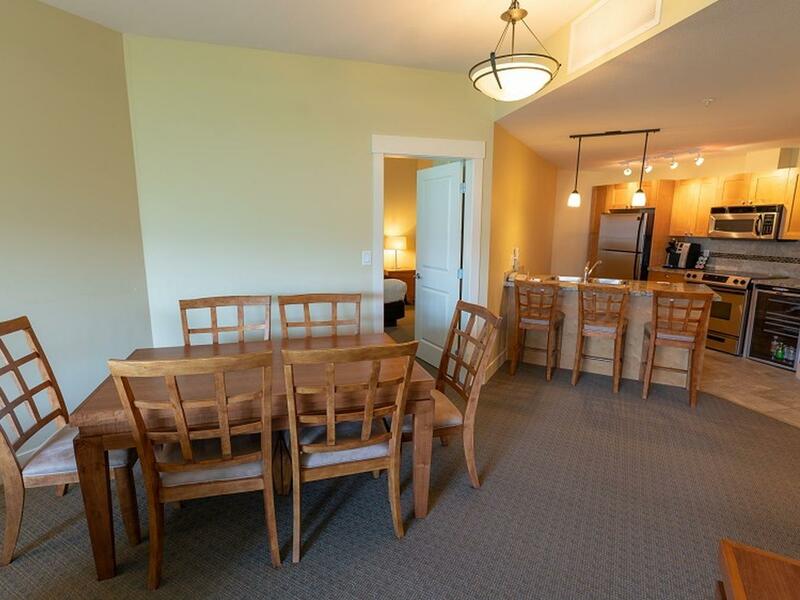 Spacious interiors and elevated comfort define our mountain view three bedroom suite. 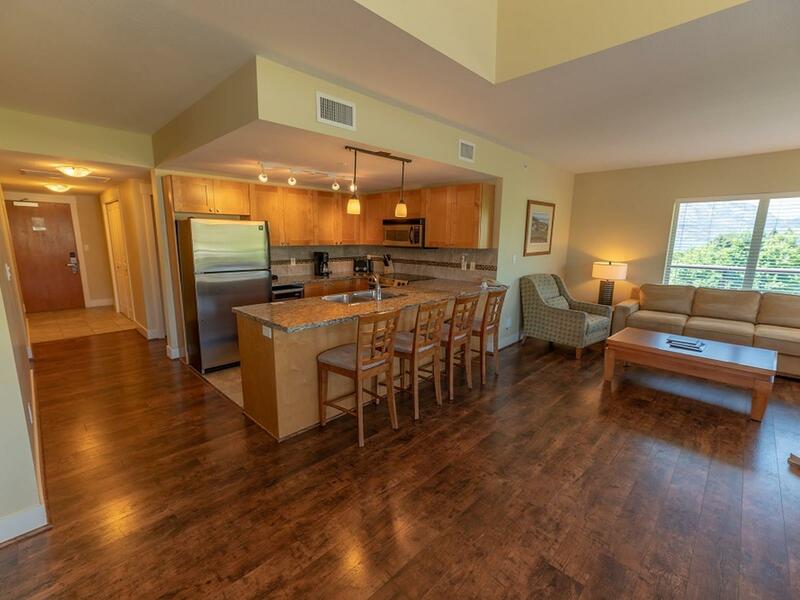 Spacious interiors and elevated comfort define our lake view three bedroom suite. Spacious interiors and elevated comfort define our premium lake view three bedroom suite. Ideal for the single traveller or couple on a short stay, our European-style traditional guestroom measures 170 square feet.